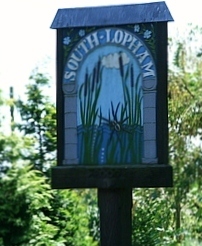 The Lophams’ Society annual Christmas drop-in will be held at the Village Hall on Friday 16th December 2011 commencing at 6pm and finishing at 9pm. Father Christmas will be in attendance with some goodies for the children. Mulled wine and a buffet will be provided and there will be some carol singing as well. All is free of charge. We hope to see a good attendance from North and South Lopham.